Find it hard to remain ‘Healthy’ around Christmas time? Looking for a Solution to overcome/prevent Food & Alcohol hangover? – without the Heaviness, sluggishness or extra weight! Emotional Eating and ways to start overcoming it with smart food choices. Where: Kathy’s Apartment 4B, No. 41 Prince Albert Apartments, Albert Street, Auckland CBD. 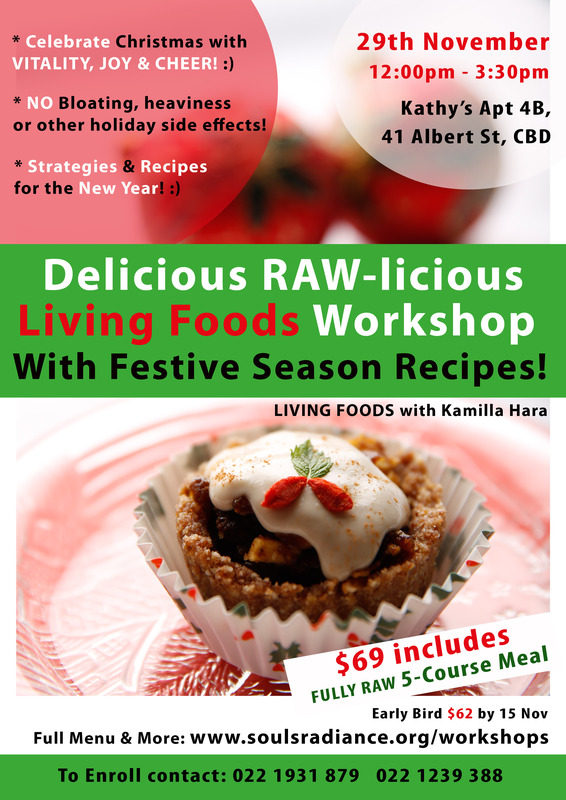 The Investment: $69 including the FULLY RAW 5-Course (7-Recipe) Meal on the day.